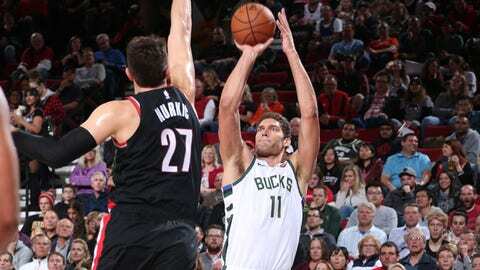 MILWAUKEE — A new nickname for Brook Lopez started floating around Twitter after the Milwaukee Bucks 7-footer had a career night from the 3-point line. “Splash Mountain.” How appropriate for a self-described Disney aficionado who is quickly developing a reputation as one of the best-shooting big men in the NBA. A career 34 percent 3-point shooter, Lopez said he had hoped coming into his first season in Milwaukee to eclipse 40 percent.